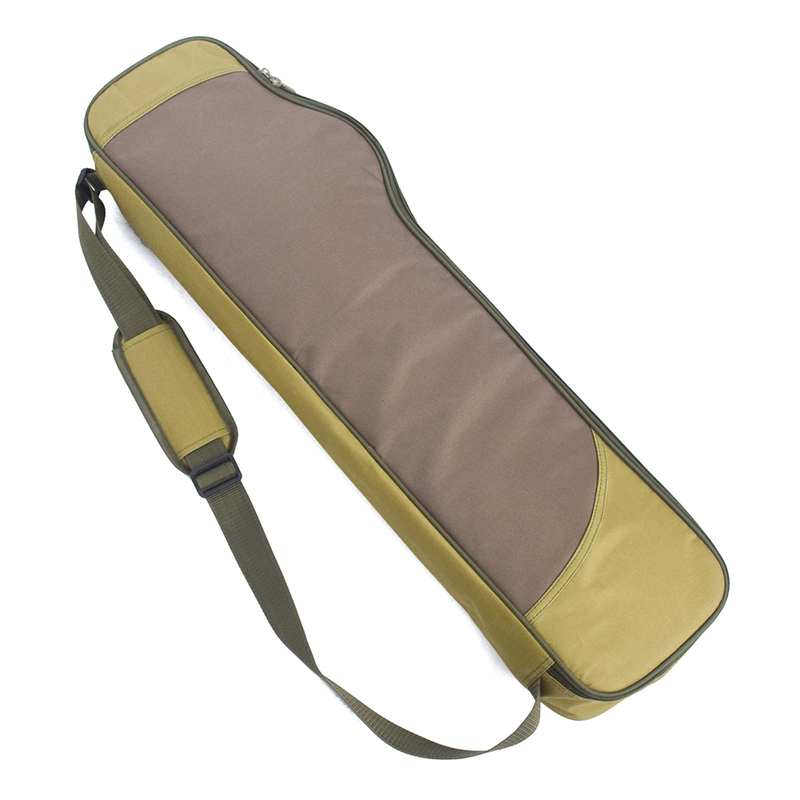 This fishing shoulder bag is a great storage bag to store and carry your valuable fishing rod and tackle. 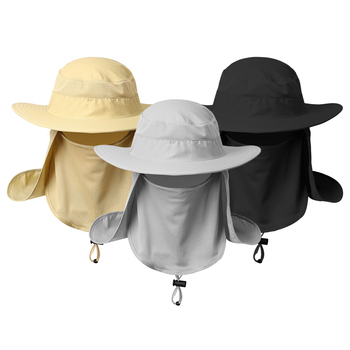 600D high-density oxford fabric for durability. 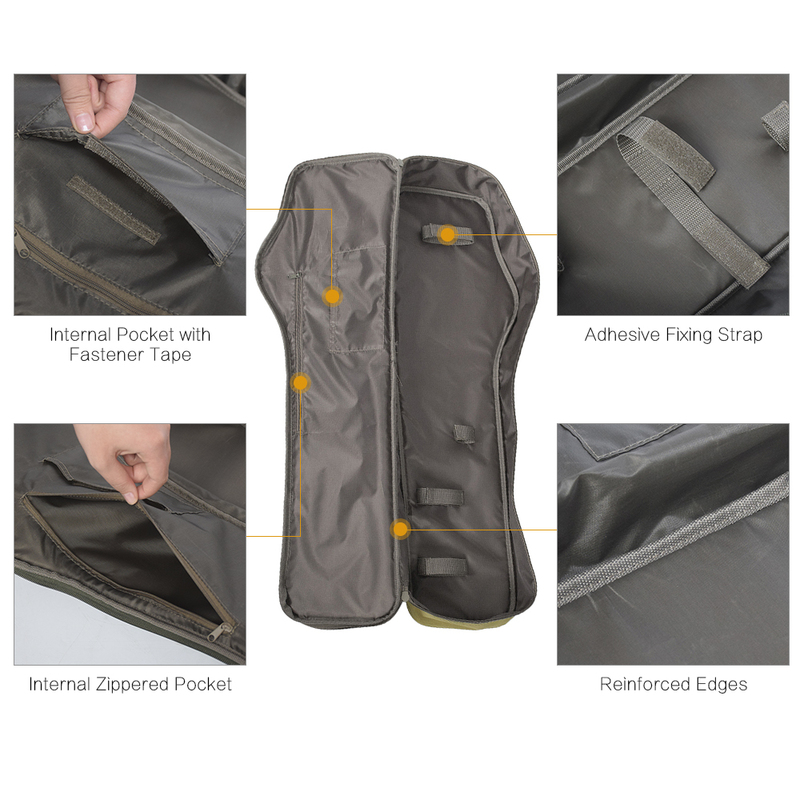 Dual zipper closure for easy access to the contents. 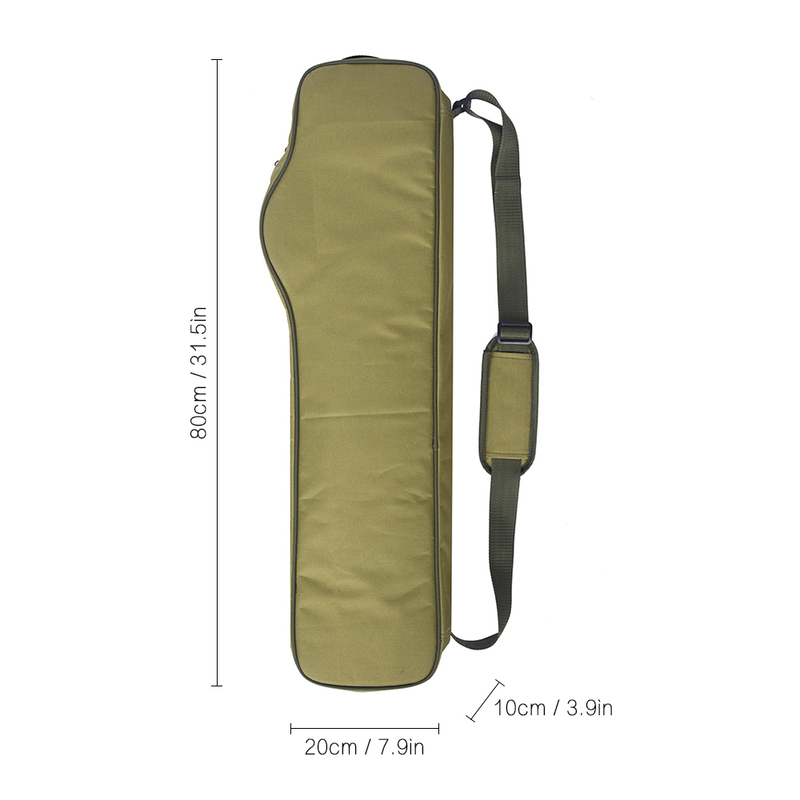 Four straps inside the bag help fix your tackle in place. 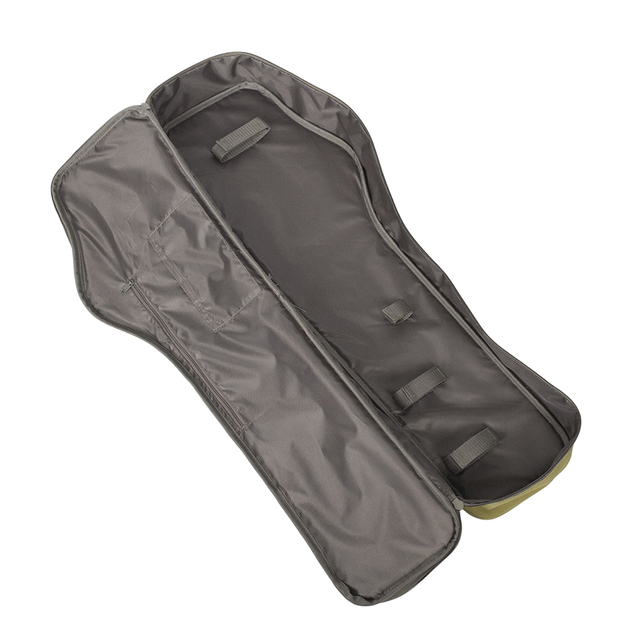 Two pockets under the lid for storing small items. 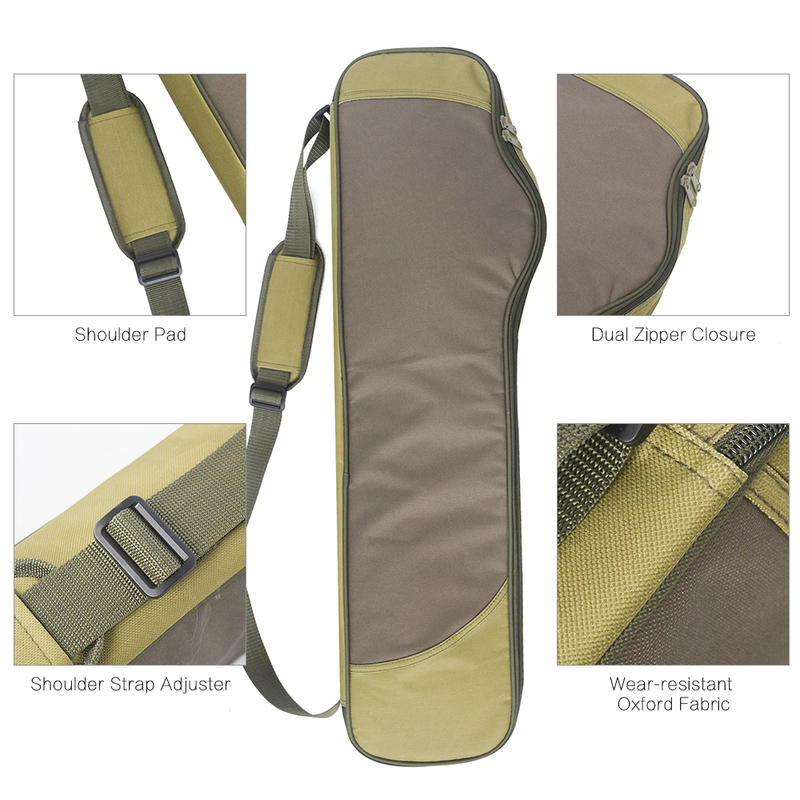 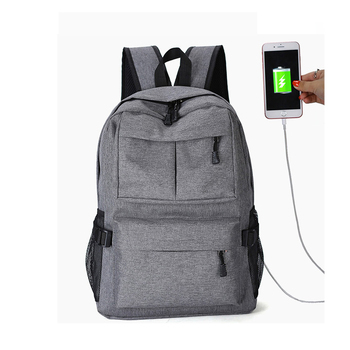 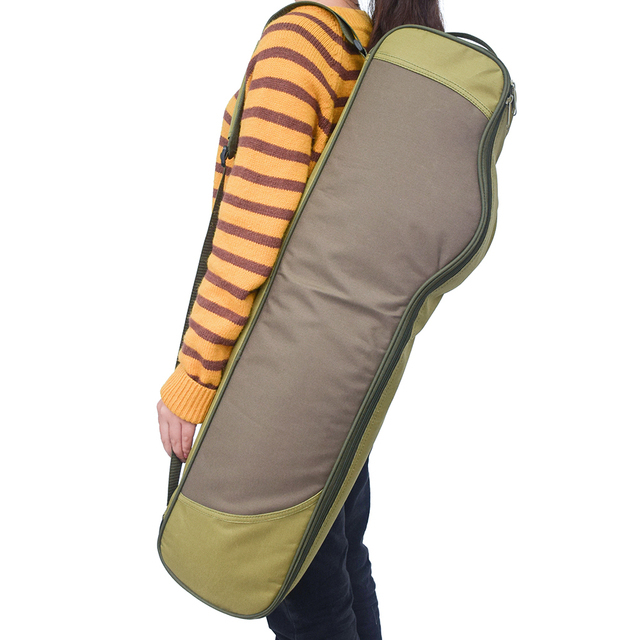 Adjustable shoulder strap with pad for comfortable carrying. 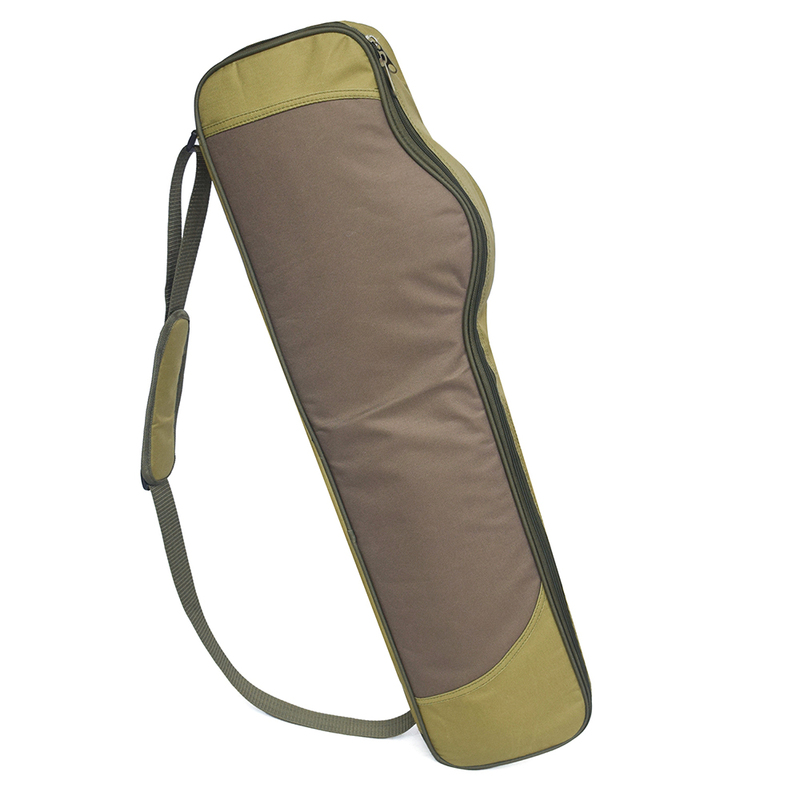 Perfect bag for storing hunting gears, fishing tackle, fishing rod, etc. 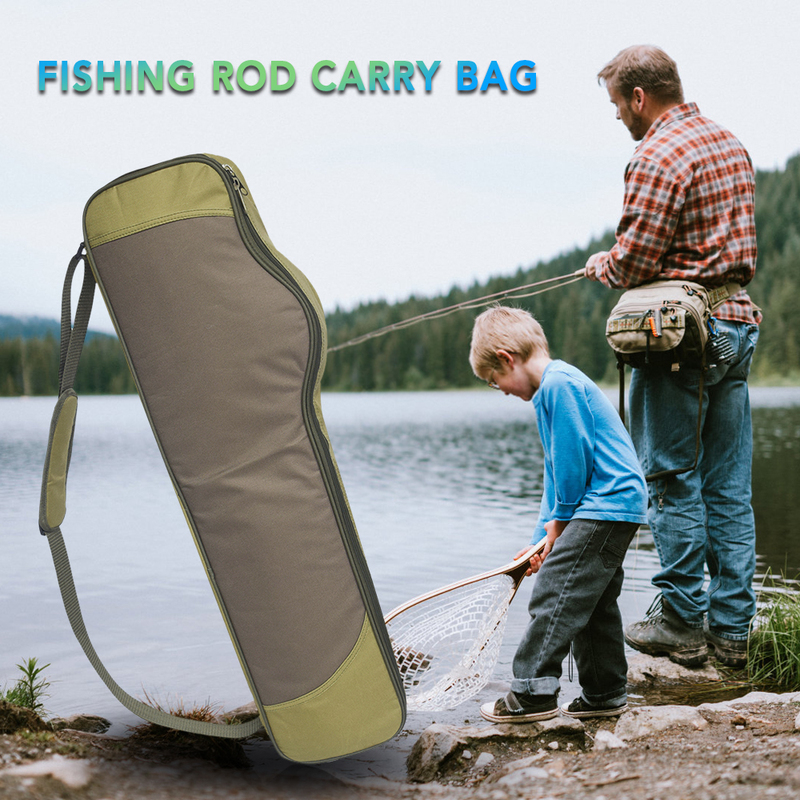 Note: Fishing bag only, other items in the pictures are not included.